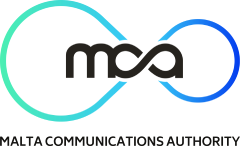 The Malta Communications Authority (MCA) has recently granted a license to EchoStar Mobile Limited to establish a satellite earth station in Malta. Ireland-based EchoStar Mobile Limited is a wholly owned subsidiary of EchoStar Corporation (NASDAQ: SATS), a premier global provider of satellite and video delivery solutions, headquartered in the United States. The satellite earth station to be established in Malta will be used to calibrate the 2-GHz-band satellite, EchoStar XXI, for the provision of next generation Mobile Satellite Services (MSS) throughout the European Union.